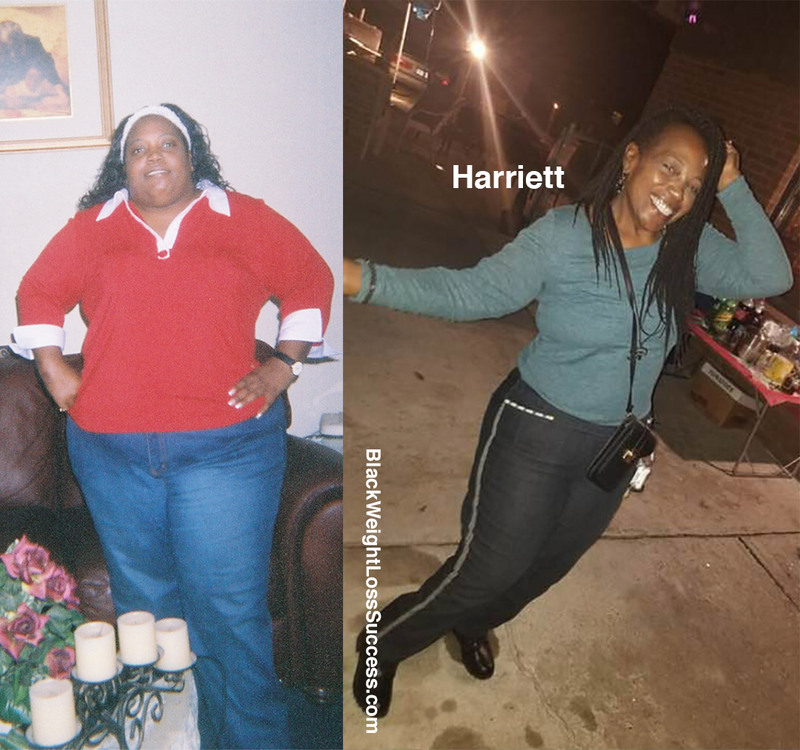 Transformation of the Day: Harriett lost 207 pounds. Over a period of three years, she released the weight with healthy eating habits, surgery, exercise and self-evaluation. She learned to love herself, no matter what. Check out her story. I have struggled with weight my entire life. When I was told by my doctor that I was diabetic in my 30’s, I did not take it seriously. I saw my mother go through pain and struggles with diabetes and medical issues related to diabetes, but did not do what I should have to take care of myself. It took heartbreak and a self-evaluation of my life for me to begin turning my life around. I looked in the mirror one day, and I did not recognize myself. I’d gotten so overweight. I weighed 380 pounds at 5’3″. In a 3 year period, I have lost more than 200 pounds. I’m still going, and I’d like to lose another 20 pounds. My current weight is 173 pounds. I started losing weight without surgery in 2015. I lost 43 pounds on my pre-operation diet. Then, I had weight loss surgery in 2016. I have changed the way I ate to a low carb, high protein, low sugar diet after surgery. Now, I eat a mainly vegetarian diet. I have not had beef and pork in well over a year. I go to the gym 5 -6 mornings out the week. Each day I focus on a different part of the body (arms, legs, etc.). I do cardio and weight training. I have learned that I can do anything I set my mind to. I also have learned to LOVE MYSELF, no matter what. What advice would you share with women who what to lose weight? I’d like to tell anyone reading this that if you are telling yourself that you can’t release the weight, YOU ARE WRONG. Set your mind to it, and you can lose the weight. I would also like to say that I got help for my mental health as well. Once I found out why I was overeating, it became much easier to lose weight. Go out there and seek help. Talk to someone. It helps, it really does.